Mahindra U321 MPV: Could It Be Mahindra’s Answer to Toyota Innova Crysta in the Making? Indian Utility Vehicle manufacturer, Mahindra, is currently working on the MPV to enter this fast-growing segment in India. Additionally, the company has allocated funds for the development of new products. 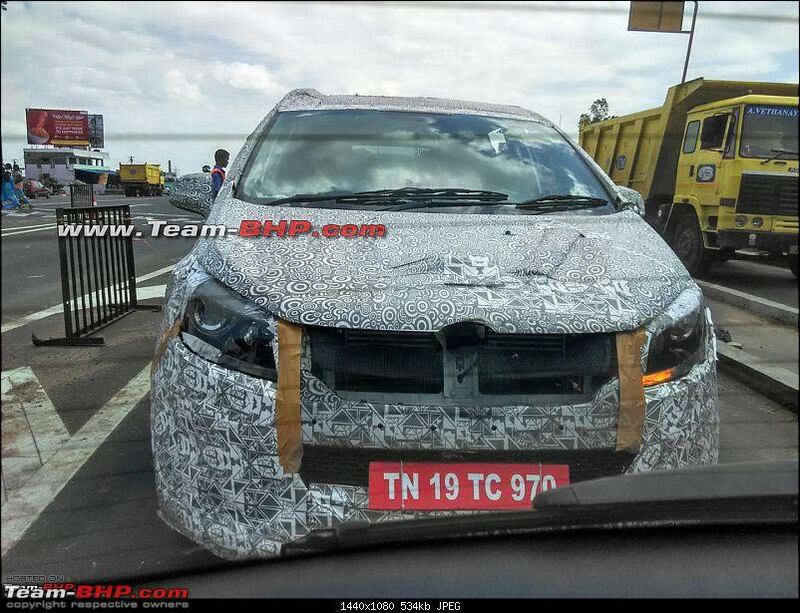 This includes the new MPV internally known as U321 which Mahindra is currently testing in Tamil Nadu state. So, the upcoming Mahindra U321 will take on Tata Hexa and Innova Crysta in the 7-8 seater MPV segment. Mahindra will pit the U321 against Toyota Innova Crysta and Tata Hexa. The manufacturer is likely to unveil the MPV at the upcoming Auto Expo 2018. Mahindra will position it above both the Xylo and the Scorpio. However, It will be close to the XUV500. 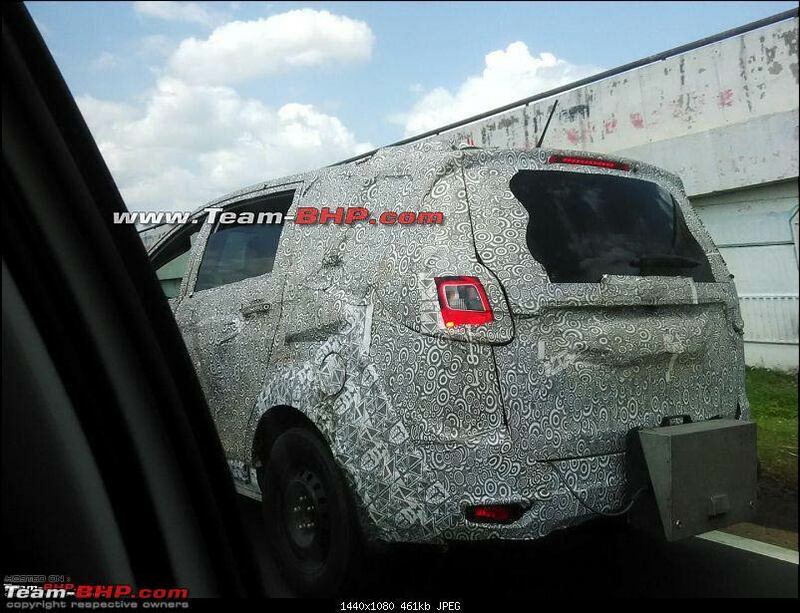 Recently, some websites have published a set of fresh spy images and possible specifications of the U321 MPV. Furthermore, the future Mahindra MPV will get two power-plants. The 1.6-litre Turbo Diesel engine will deliver 125 bhp of maximum power and 305 Nm of peak torque. However, the production specs may vary a bit. In addition, the new U321 diesel variant will possibly get a 6-speed manual transmission. Comparatively, the Tata Hexa gets a 2.2-litre VARICOR motor that churns out 150 Ps and 320 Nm while Toyota Innova Crysta delivers 150 Ps and 343 Nm. Besides, the manufacturer is likely to offer a petrol engine option on the new Mahindra U321. Unconfirmed reports indicate that Mahindra has a series of new petrol engines in the works with engine displacement ranging from 1.2 to 2.0-litre. Thus, the U321 will most likely get a new 1.5-litre petrol engine. This engine will churn out 110 bhp and 150 Nm torque and get a 5-speed manual transmission. When will Mahindra U321 MPV be launched? The expected Date of Launch of the model will be in the First Half (H1) of 2018. Before its official launch, the new model could make its public debut at the Auto Expo 2018. How much will Mahindra U321 MPV cost in India? The MPV could be available for a price-tag of Rs. 12 to 17 lakh (ex-showroom). Furthermore, Mahindra will price the U321 very competitively against the Renault Lodgy, Innova Crysta and the new Tata Hexa in this price-bracket. So, are the specifications of Mahindra U321 MPV competitive enough to take on the established players in the market? Will the new Mahindra MPV be able to pose a challenge to the market leader Toyota Innova? Only the time will tell. Home » Auto News » Mahindra U321 MPV: Could It Be Mahindra’s Answer to Toyota Innova Crysta in the Making?